Upholding its name FORE (Foundation for Organisational Research and Education) School of Management (FSM) believes in leading from the front. 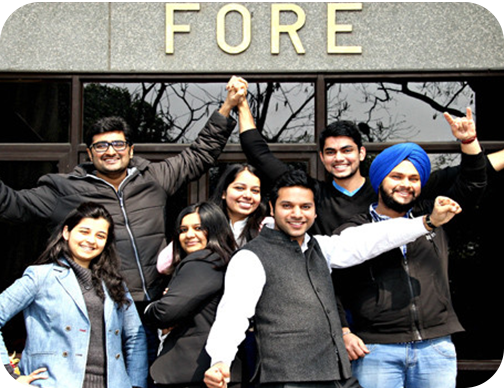 Nestled in the green pastures of the Qutab Institutional Area (in New Delhi), FSM has created a niche for itself in the management educational	space arena in the last 27 years. 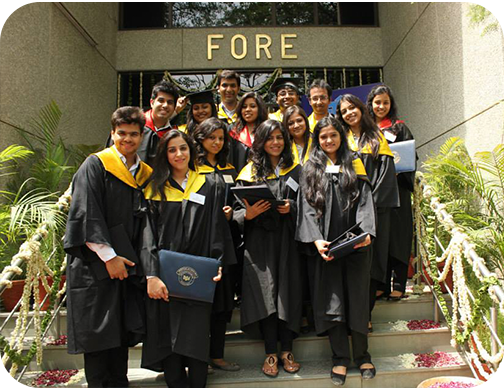 FORE offers three PGDM courses. It is known to prepare its students with integrated knowledge and skills. They can face the challenges laid in a corporate set up, family business or start-up ventures. A balanced mix of theory and practical expertise constructs their – Analytical Abilities, Critical Thinking, Problem-Solving Techniques, and Decision-Making Skills. Over the years, it has built a robust and well-connected international network of institutes. Every year students go through a mandatory and rigorous ‘International Immersion Programme’ in collaboration with one of the many partnering universities internationally. In 2017, students went to Nanyang Technical University, Singapore as part of the IIP. FSM has already signed multiple MOUs and bi-lateral agreements with ten universities in the US, Europe and Asia, and more deals are under progress. There are various conferences held – Marketing, Finance, HR, and Operations – throughout the year. Such events expose students to meet and greet multiple corporate challenges. Kurukshetra – The Management Battle is a National level debate conducted as part of Genesis (annual fest). Students across B-schools participate and lock horns with fierce and experienced industry professionals. Such an event gives tremendous networking opportunities to students and helps them build a robust professional network. Institute has a very strong and Rich Alumni pool consisting of 5000+ Alumni spread across the globe with 200+ CEO’s, 1200+ at very senior level positions. All three course i.e. PGDM, PGDM (IB), and PGDM (FM) are approved by AICTE (All India Council of Technical Education). PGDM, and PGDM (IB) are accredited by NBA (National Board of Accreditation) and recognized as equivalent to MBA by the AIU (Association of Indian Universities). FORE School of Management, New Delhi received the prestigious International SAQS Accreditation w.e.f December 2017 for five years. 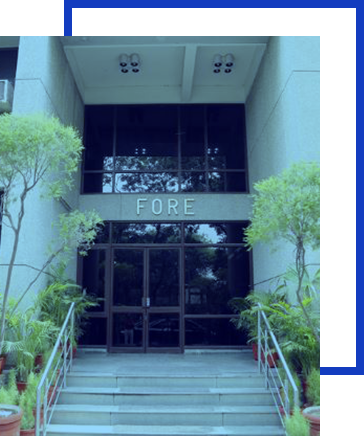 FORE School of Management, New Delhi is ranked 16th among all B schools in India based on Teaching Learning & Resources by NIRF. Apart from classroom discussions and sessions, students get to learn in the form of role plays, Case studies, sensitivity training, and management games. 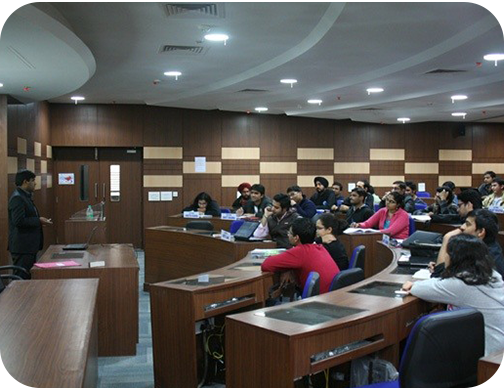 FORE School of Management, New Delhi Conducts various interactive sessions of corporate leaders organized Student-driven Club CID (Corporate Interaction Division) to enrich the students with real-time knowledge. Genesis is FORE’s annual fest which brings together many great and alike ‘management’ minds under one roof. Various events like quizzes, games, and live contests etc. are conducted that give a holistic exposure to the students. A 10-12 week Summer Internship is a must after the first year. The students work with reputed public and private organizations to test their theoretical knowledge learned in the first year under the faculty and corporate mentors to enhance their experiential learning.